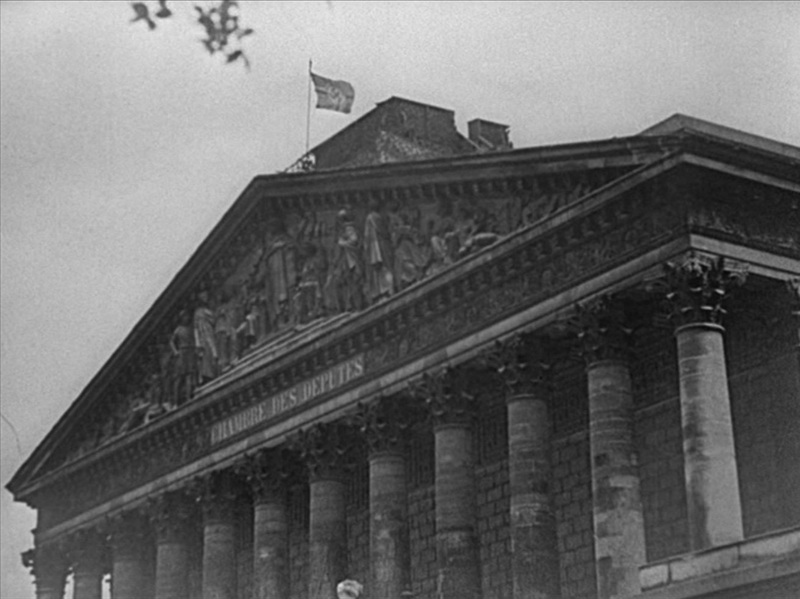 This second part is told as flashback, as he describes his disappointment at the attitude of his fellow Germans in Paris towards his own idealised fantasy of the union of France with Germany. 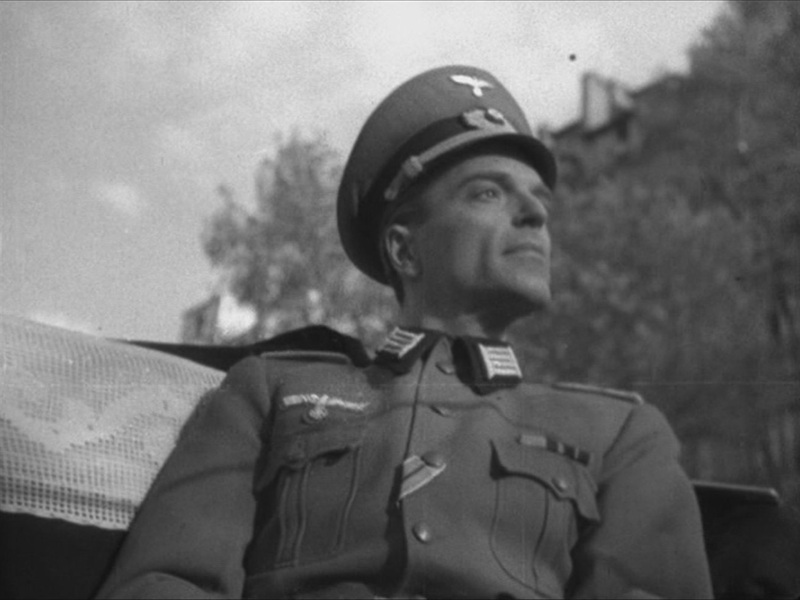 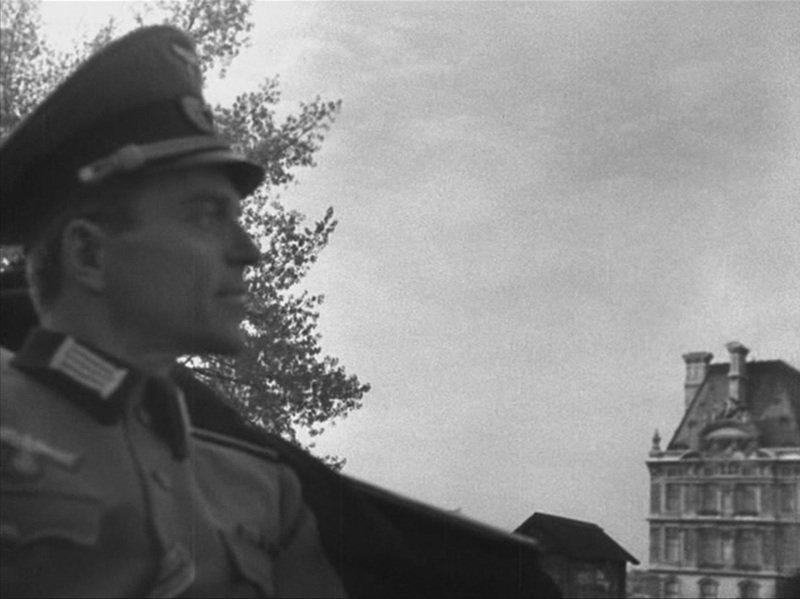 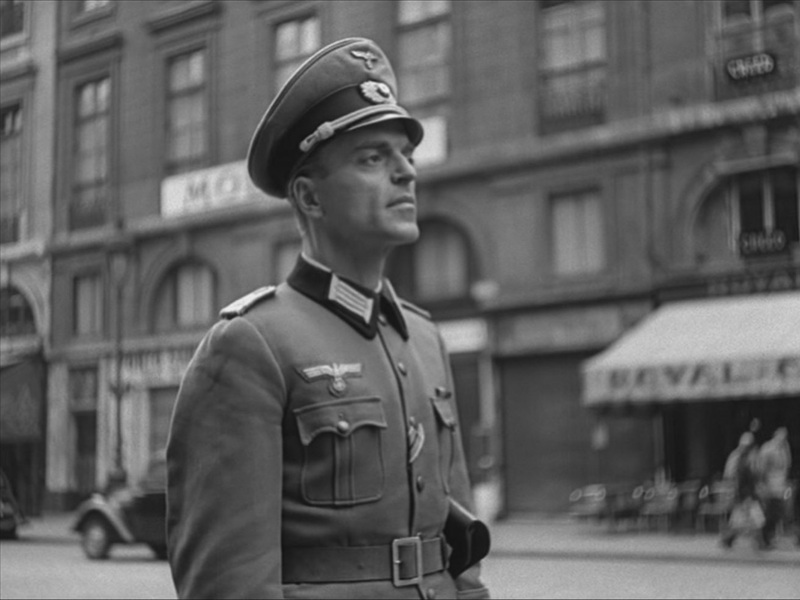 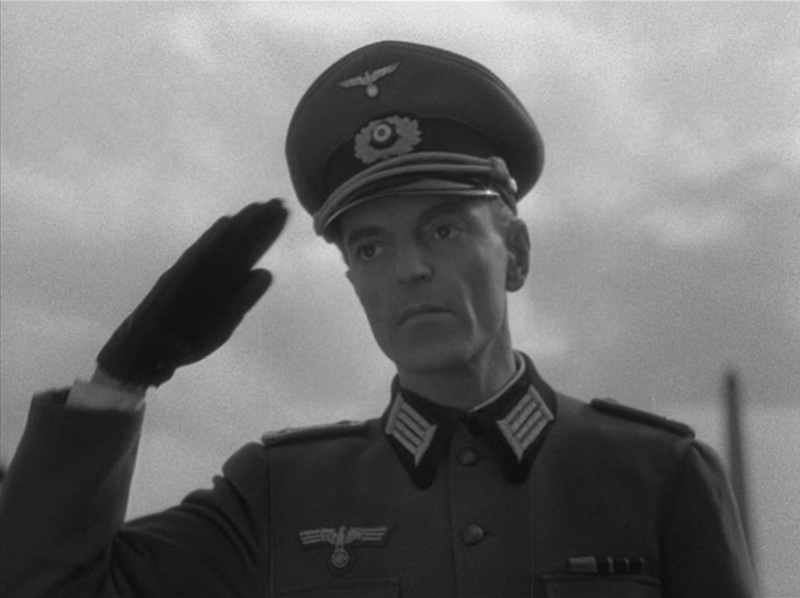 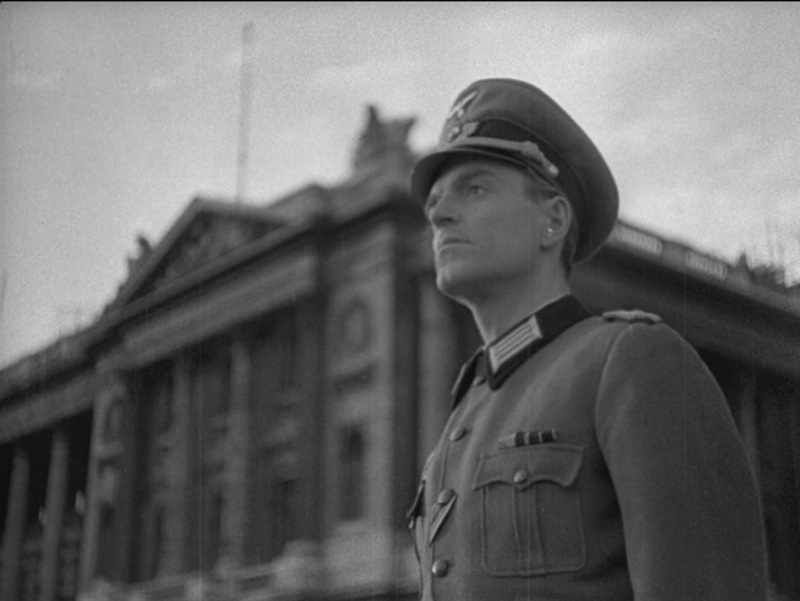 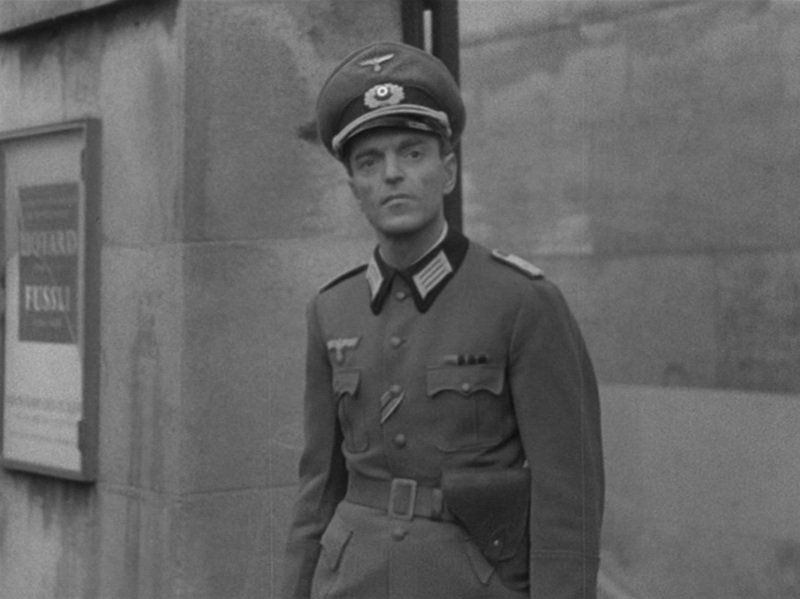 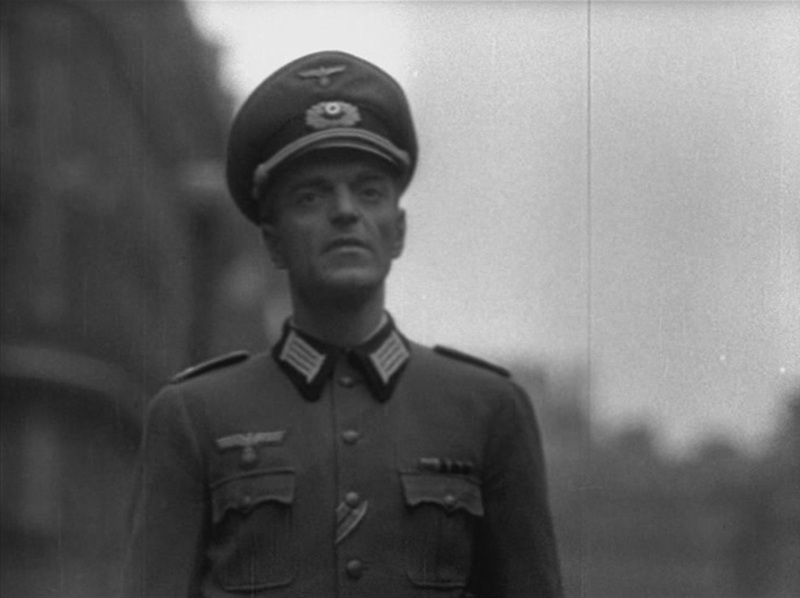 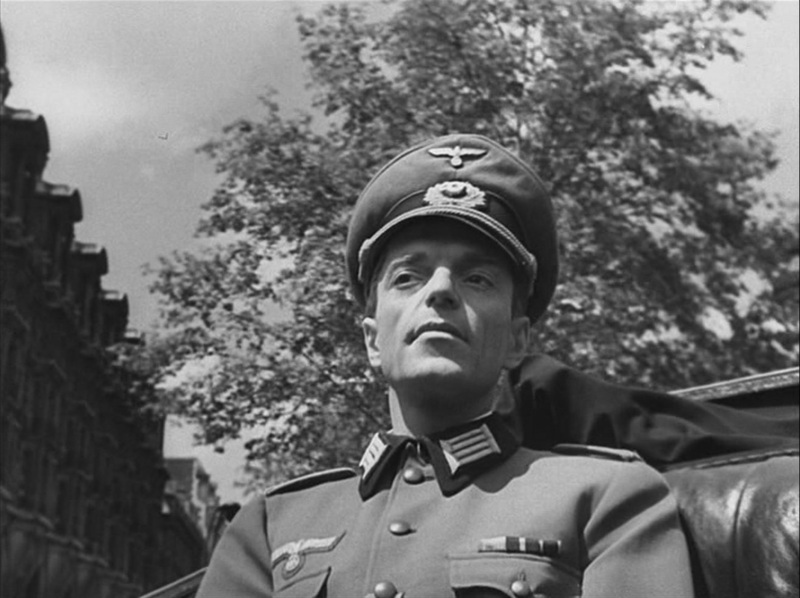 Hitherto Melville's method had been simply to place his actor Howard Vernon in his German uniform in various parts of Paris, choosing locales that in 1948 could pass for what they were like in 1941. 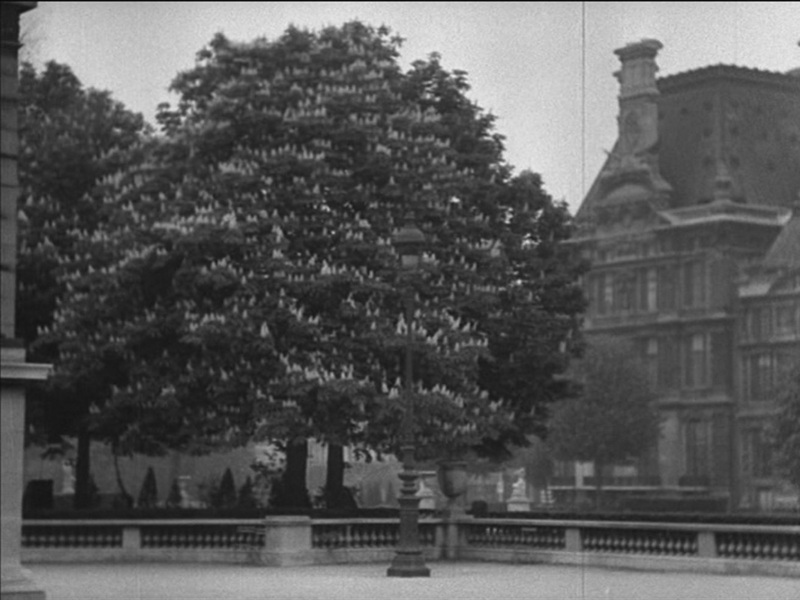 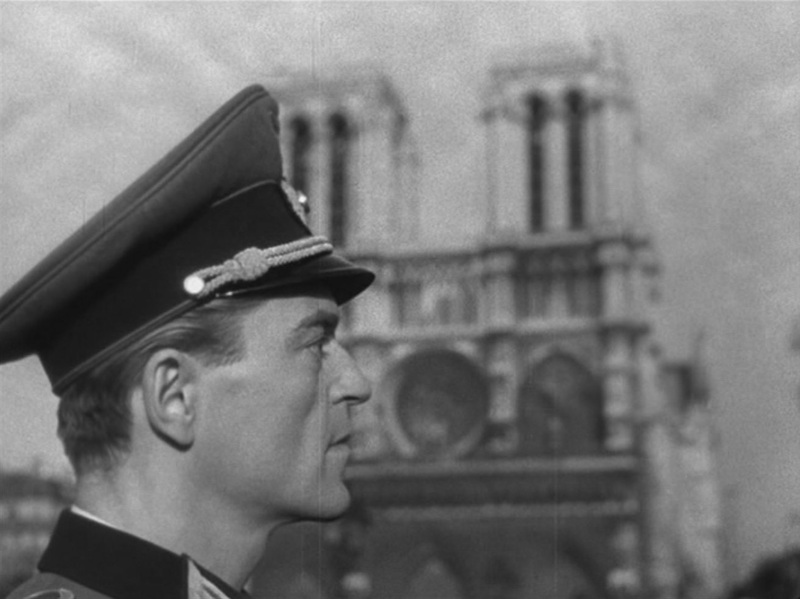 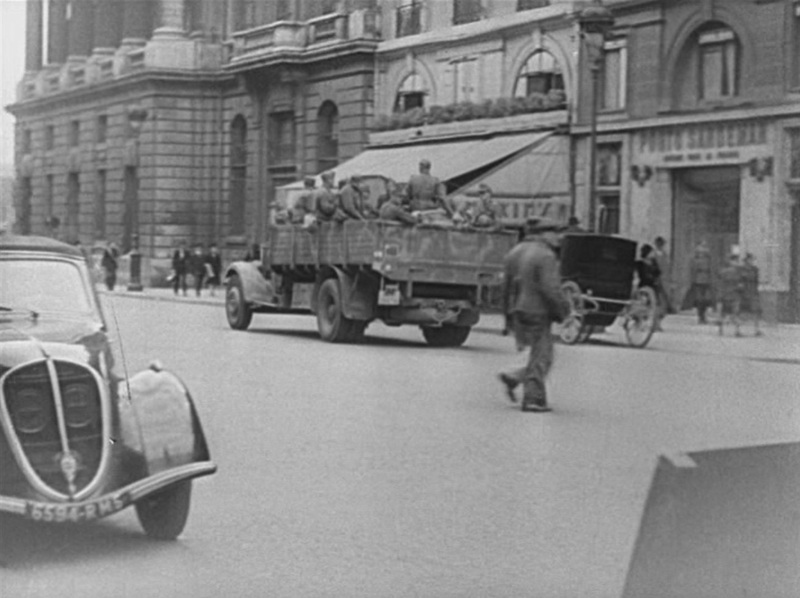 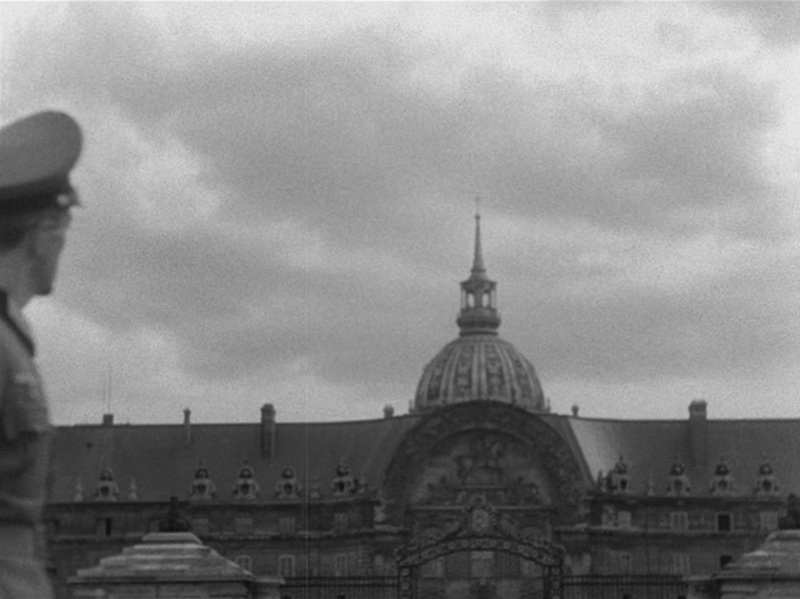 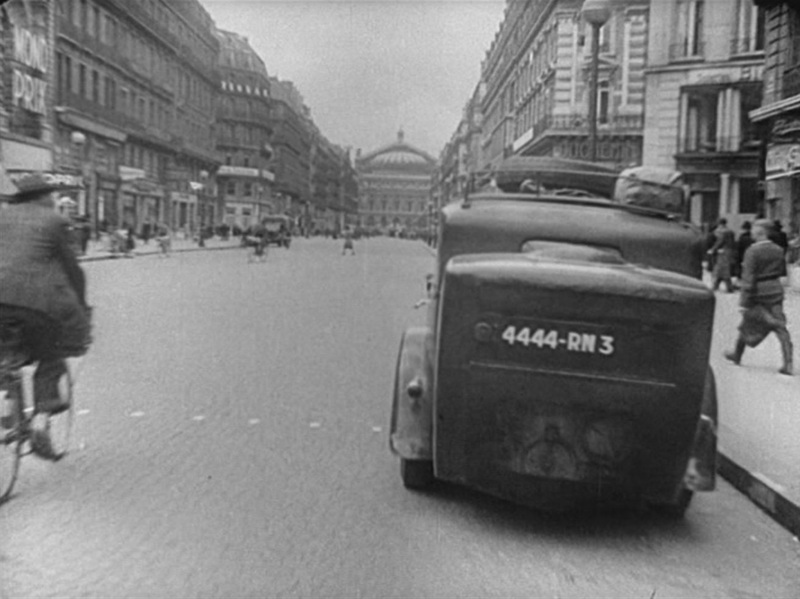 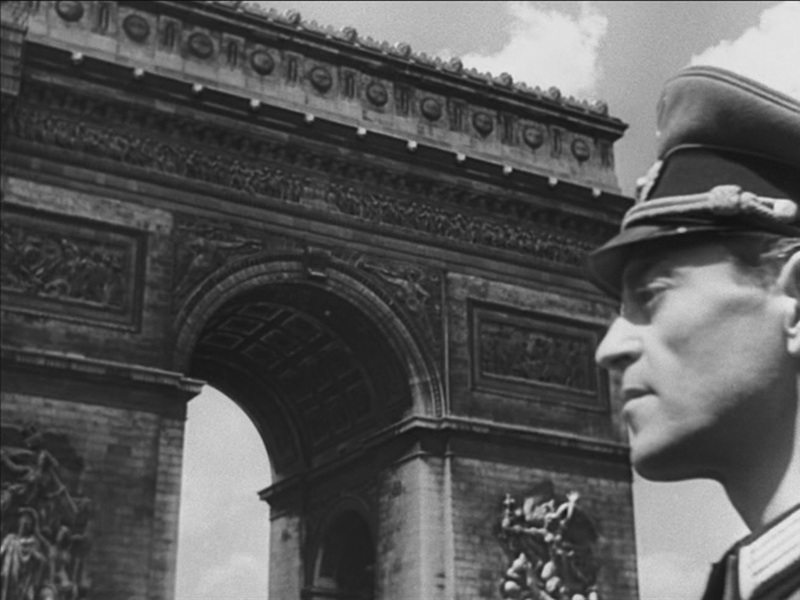 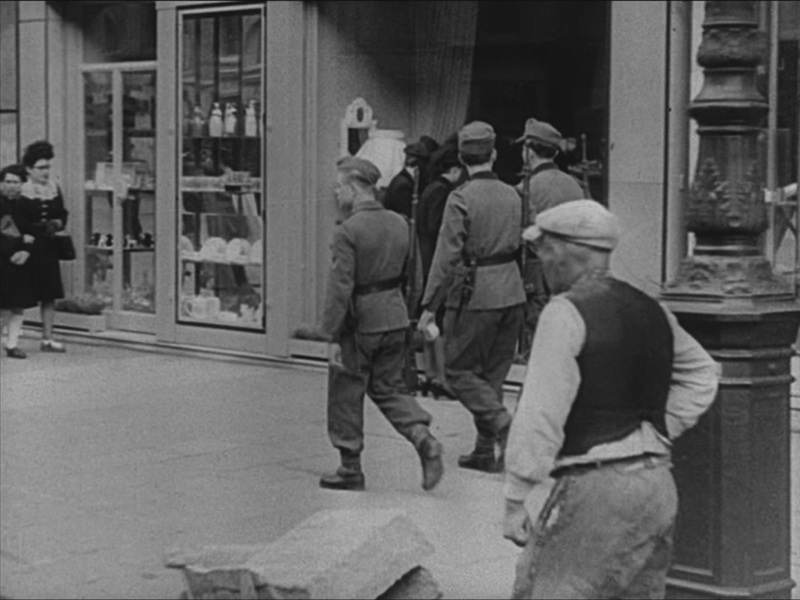 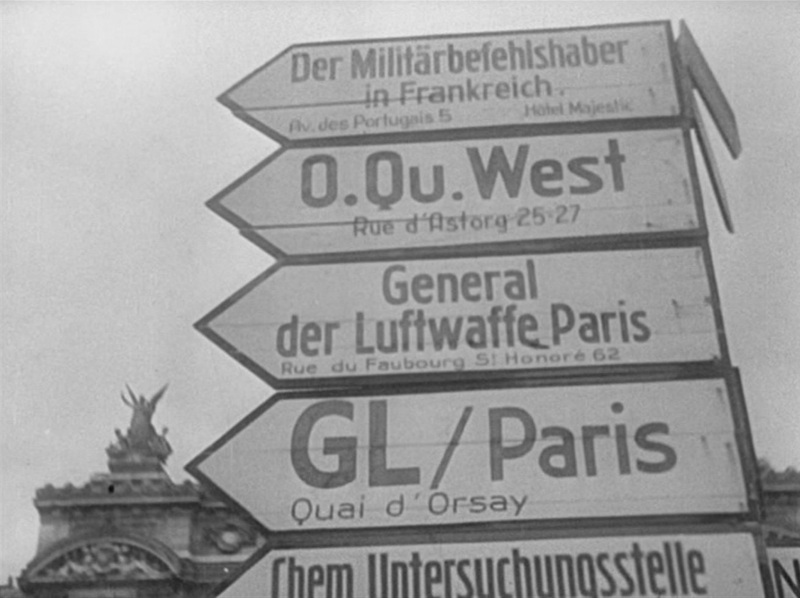 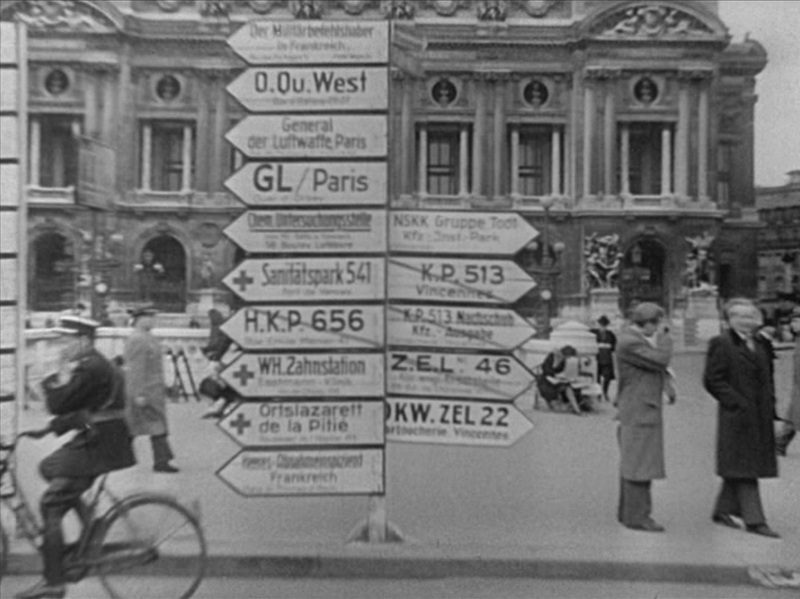 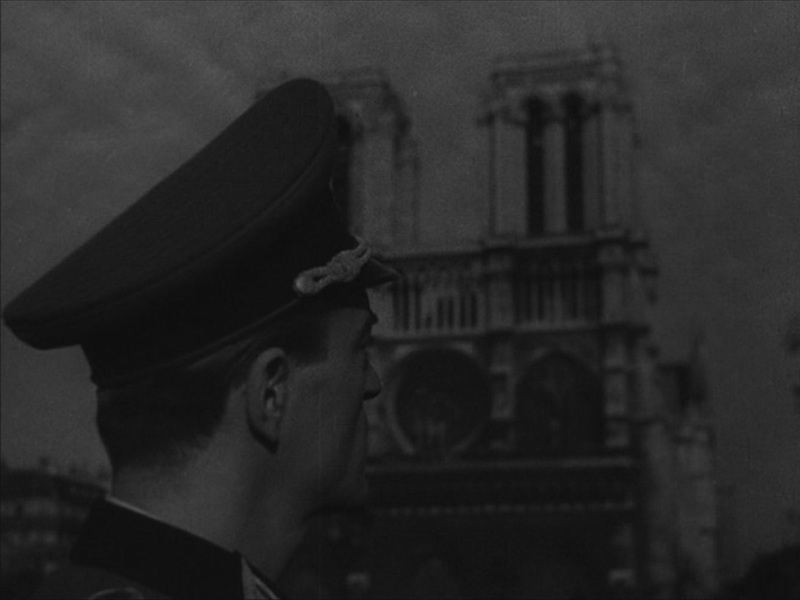 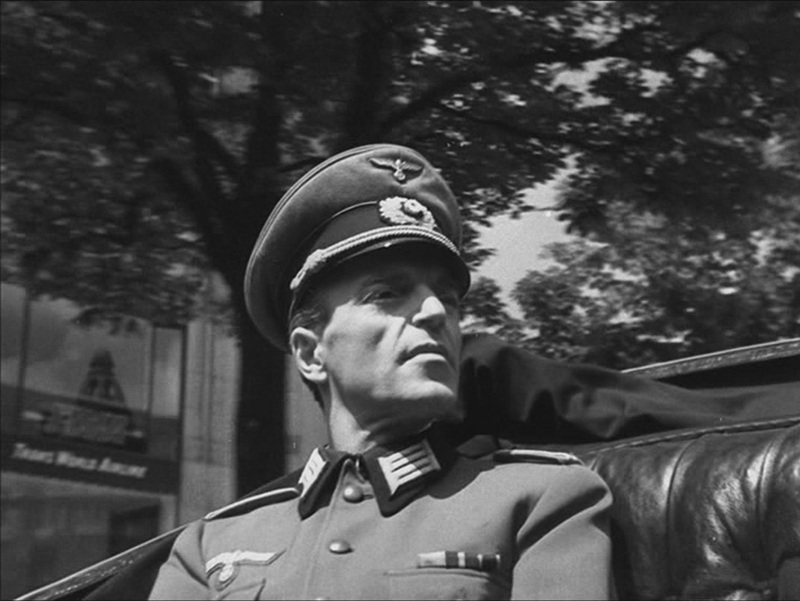 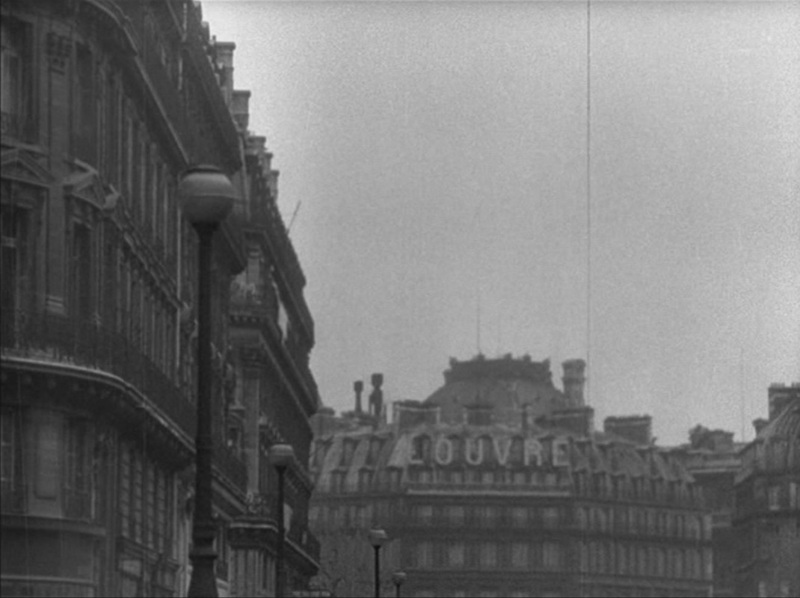 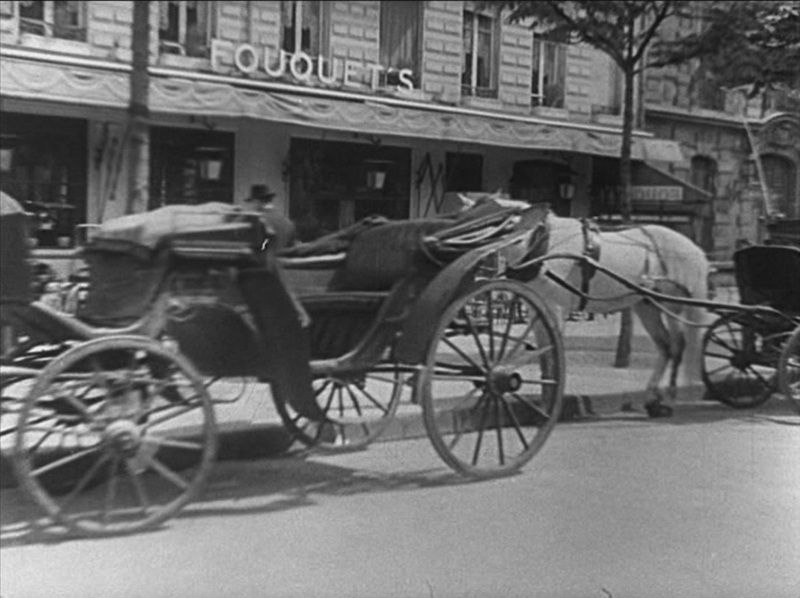 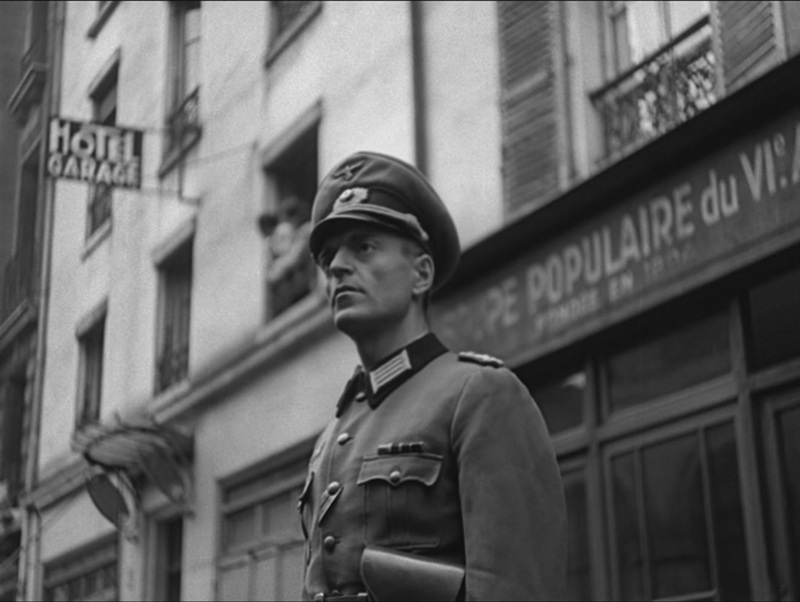 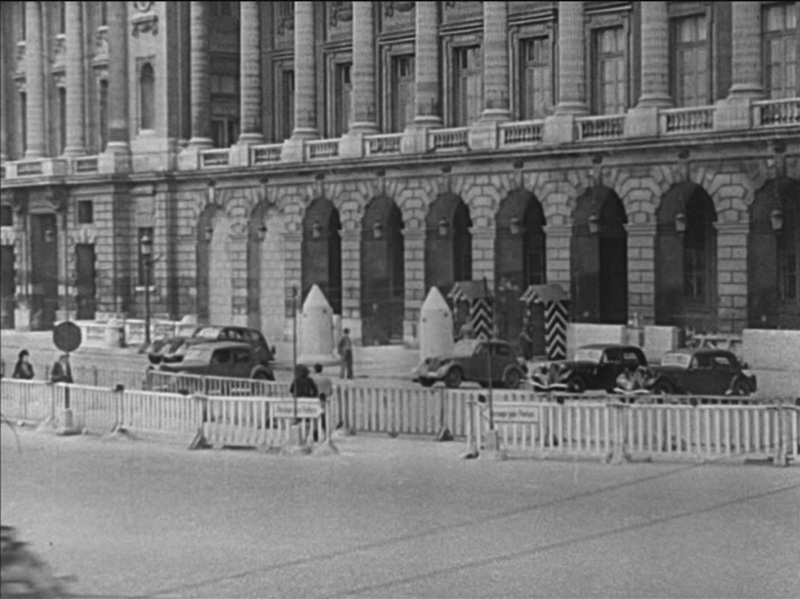 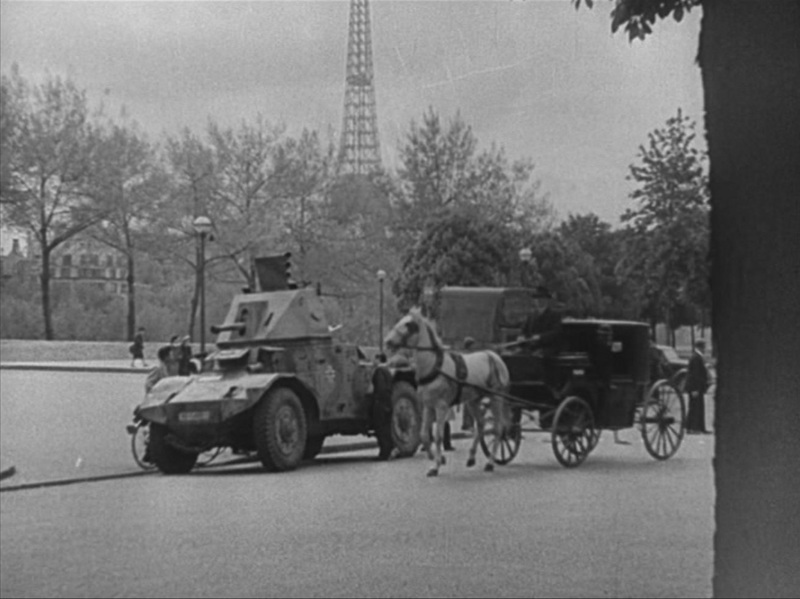 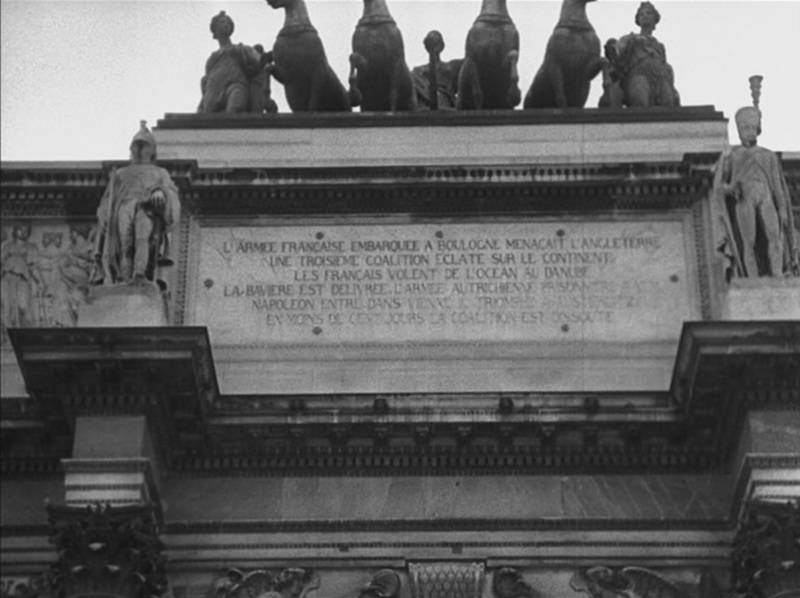 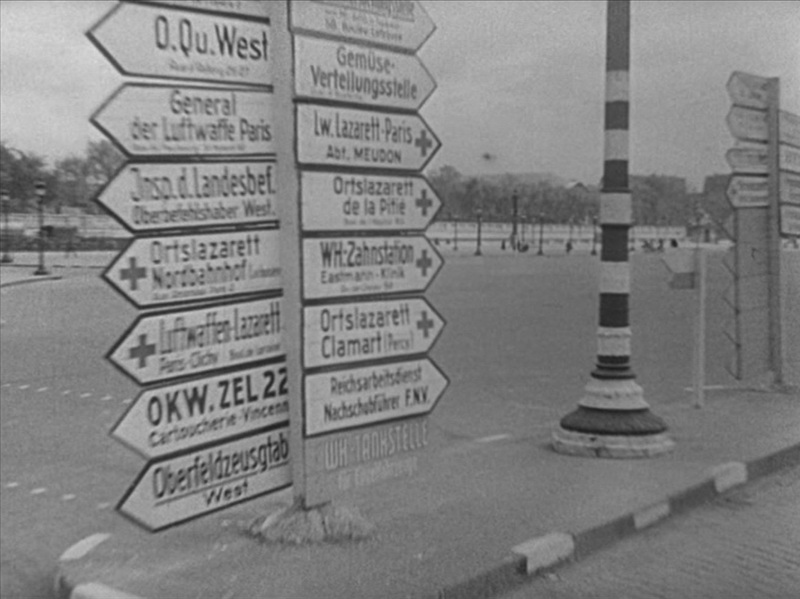 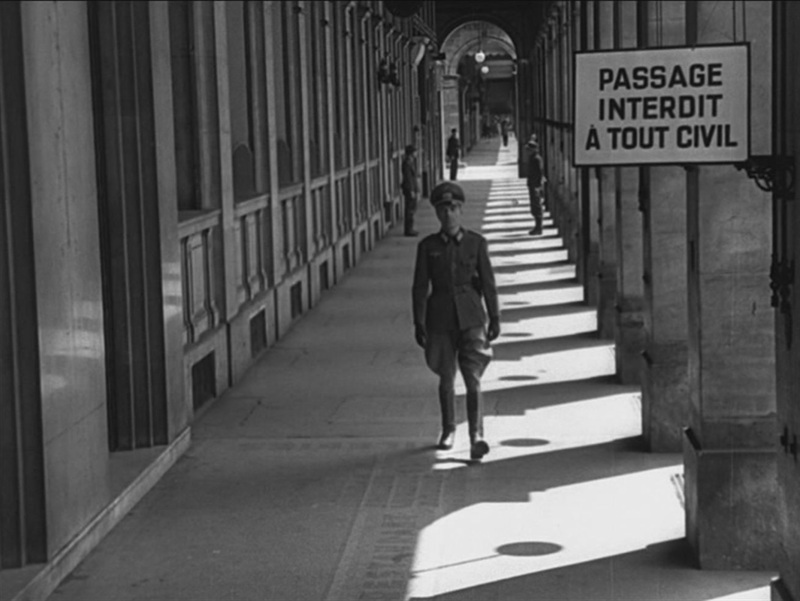 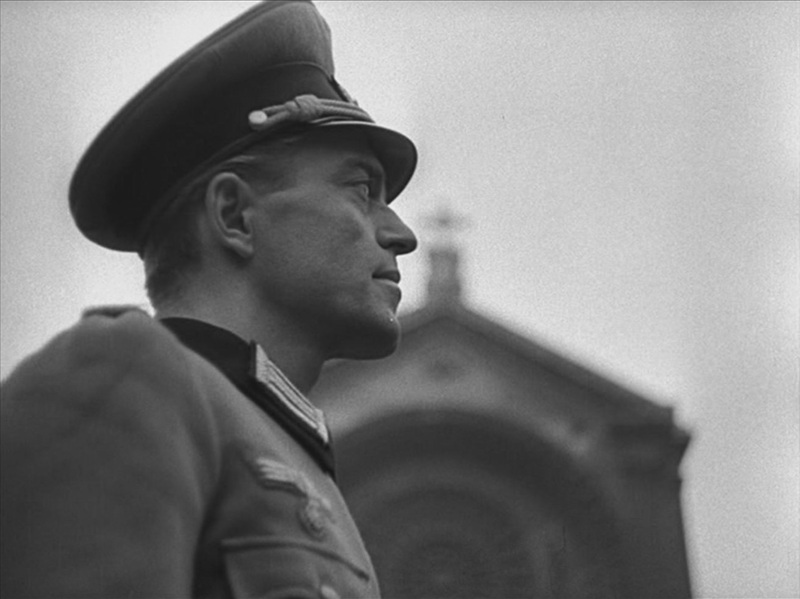 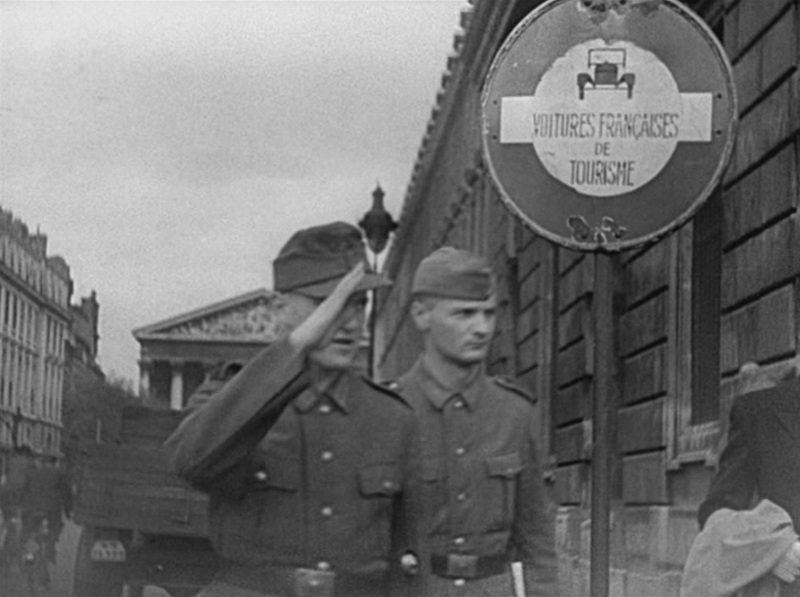 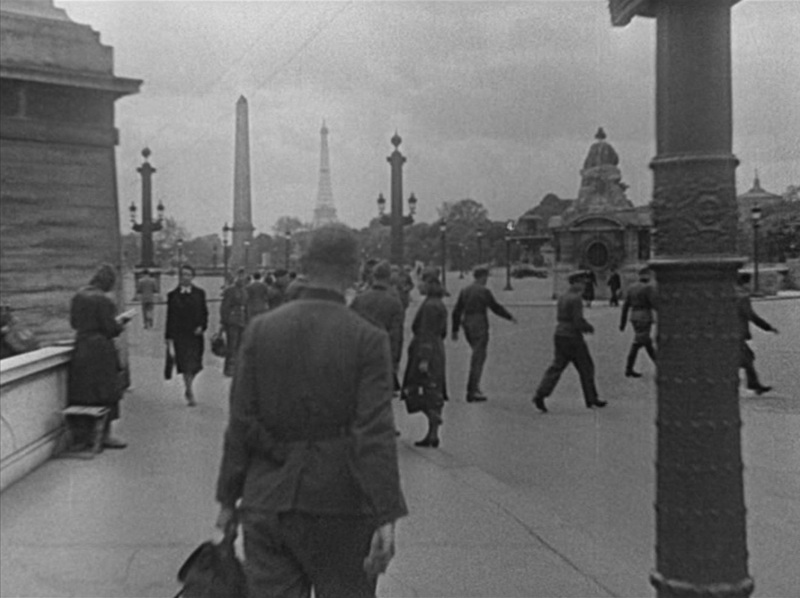 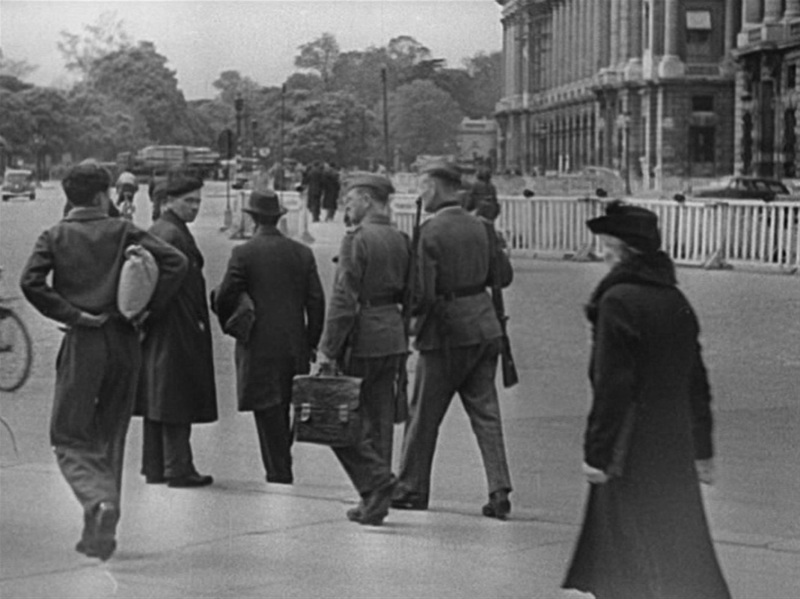 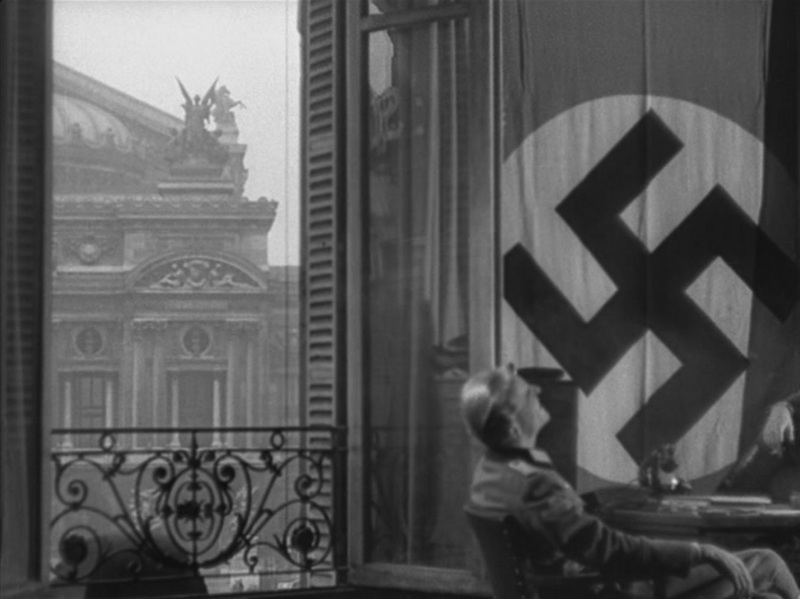 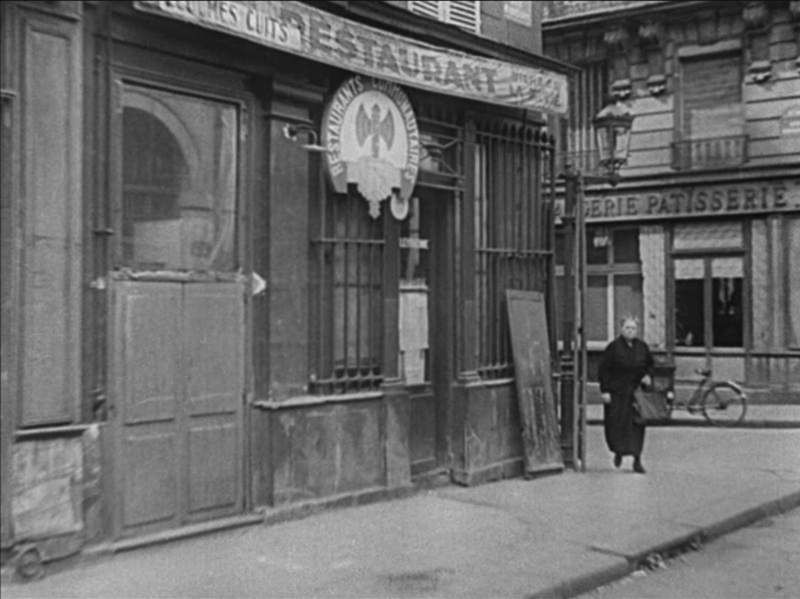 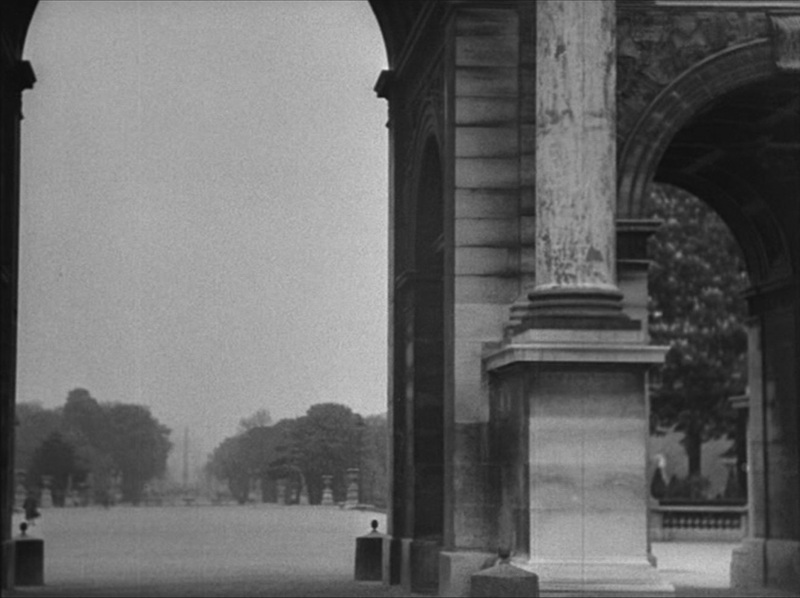 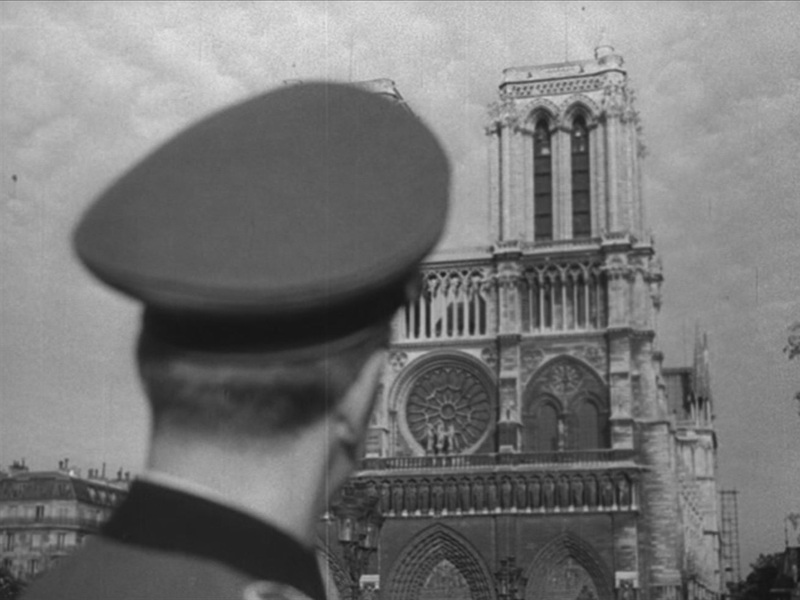 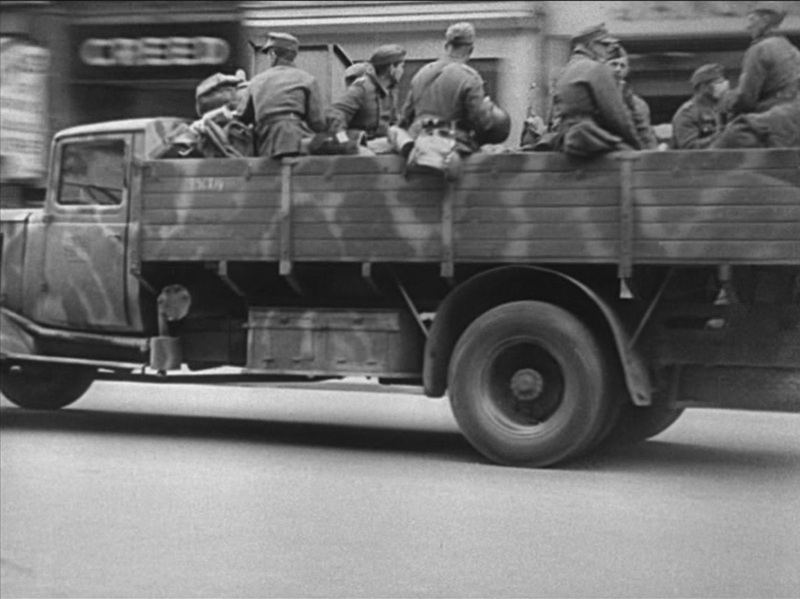 From here on Melville combines such shots with period footage from the Occupation, populating Paris with Germans in uniform, when in the previous sequence there appeared to be no Germans in Paris other than von Ebrennac. 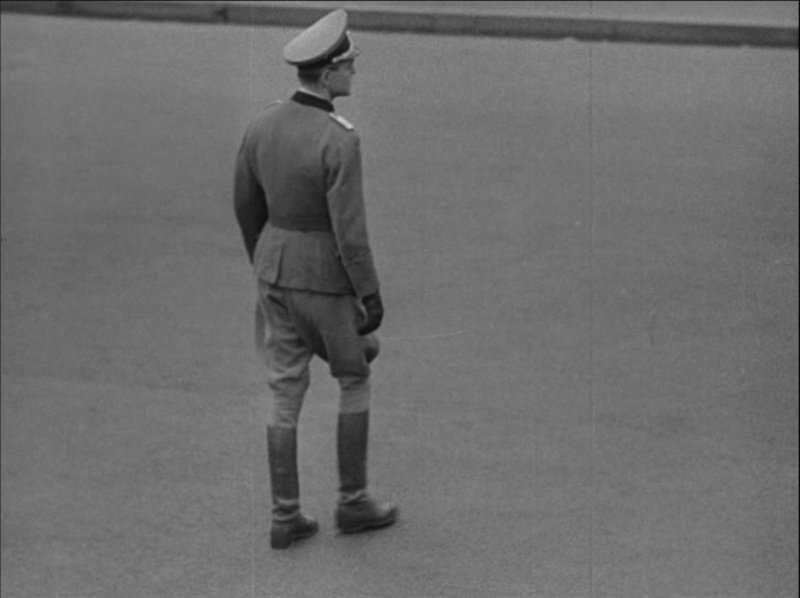 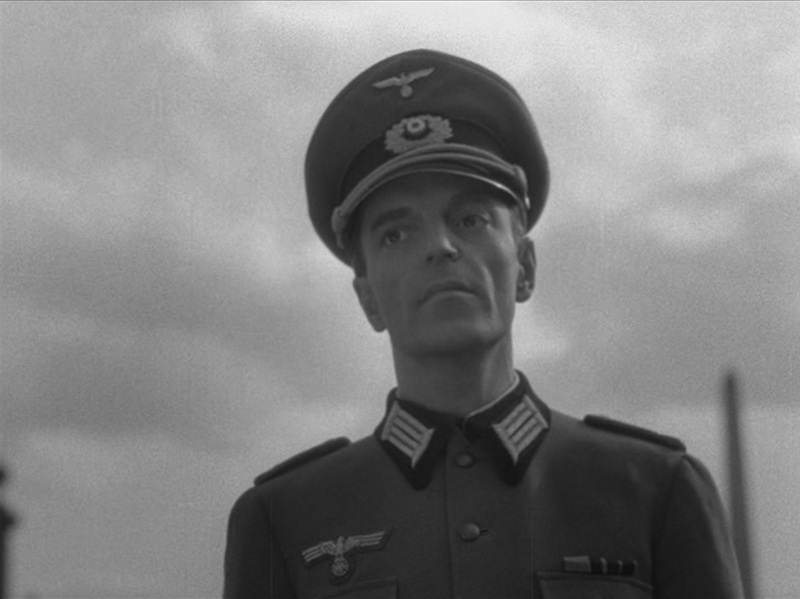 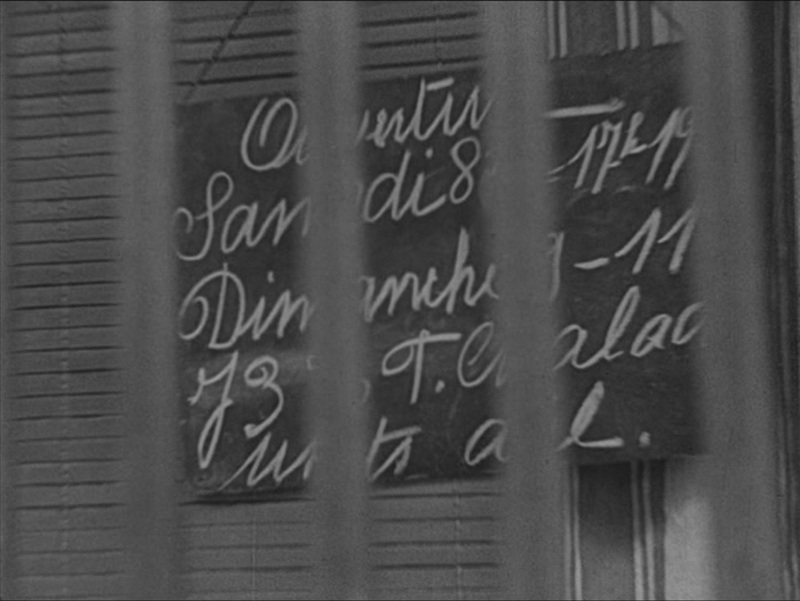 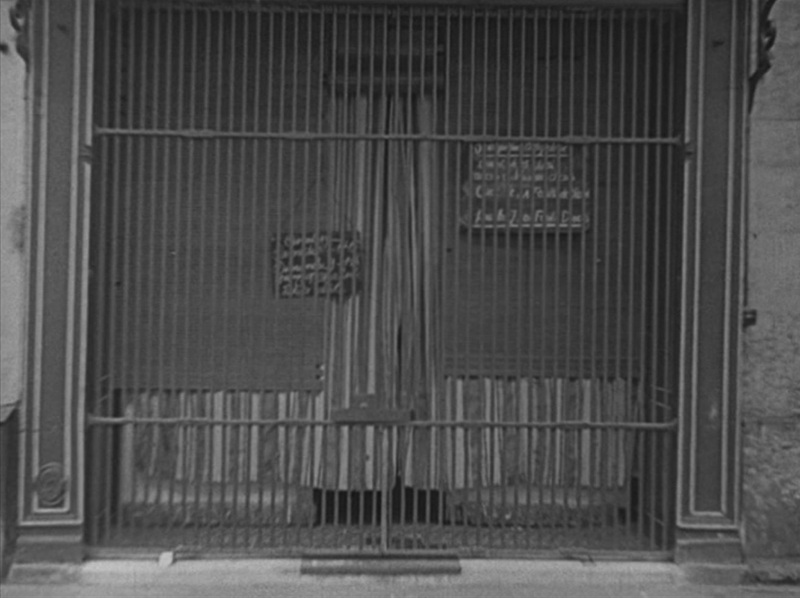 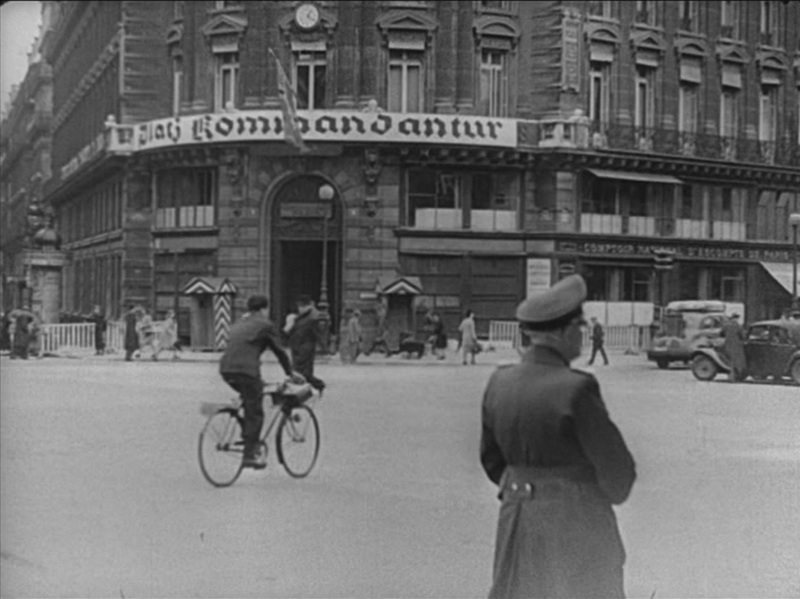 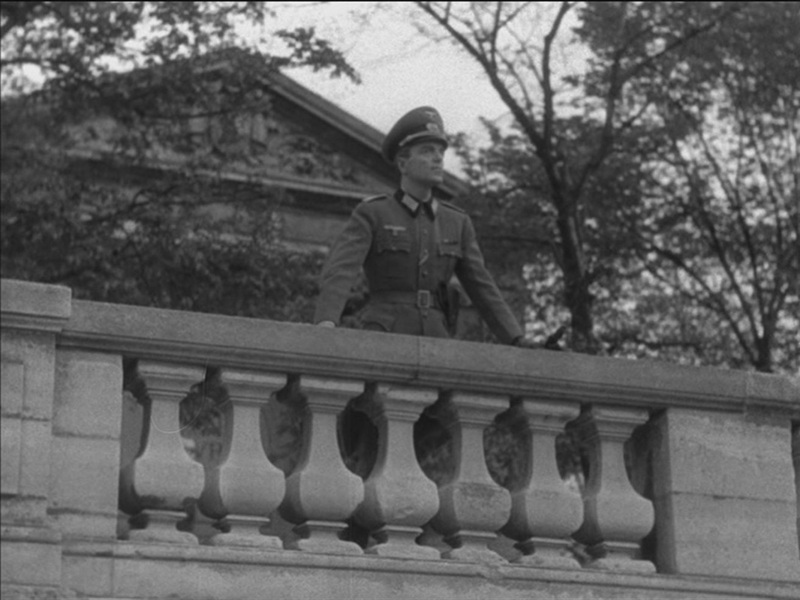 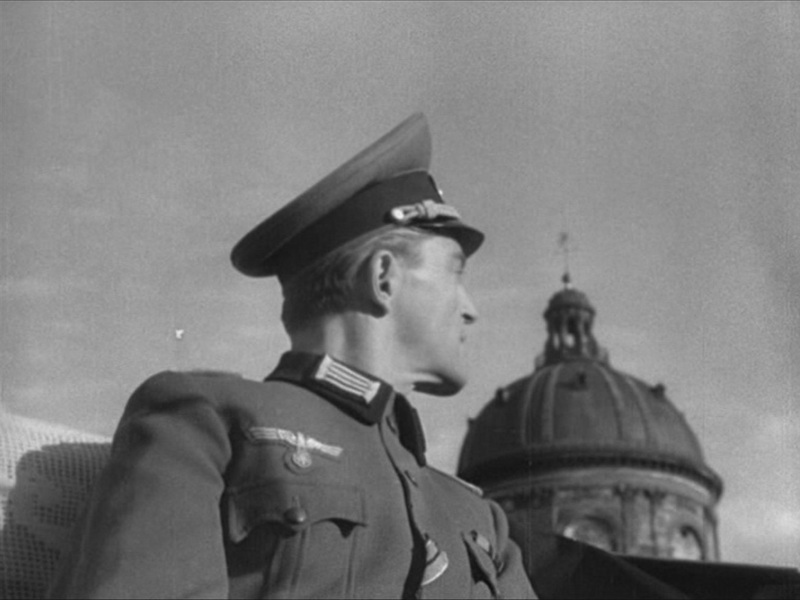 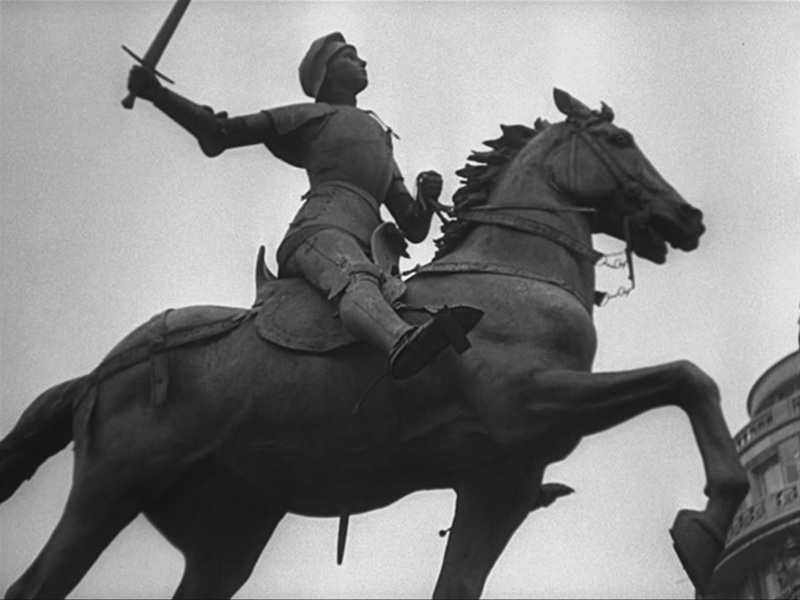 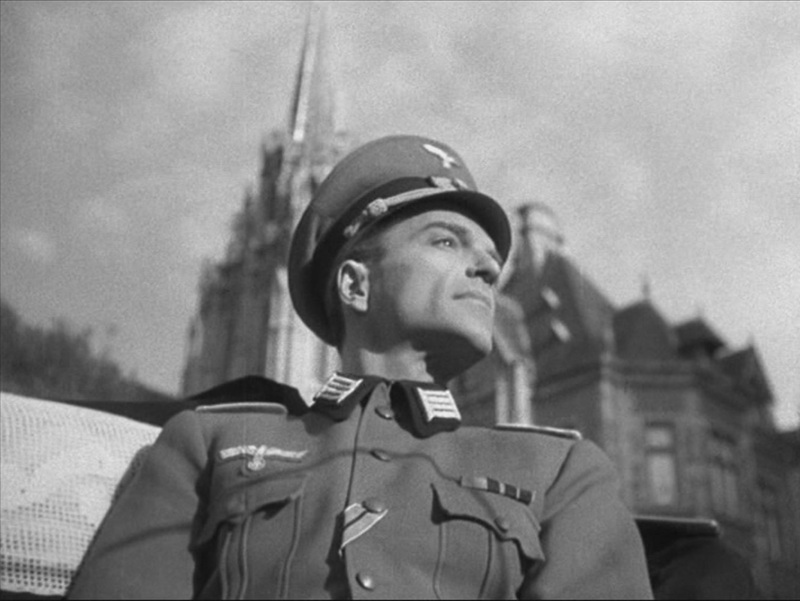 The view above is period footage, though the only marker of that is very discrete: the briefly glimpsed man in uniform, to the right. 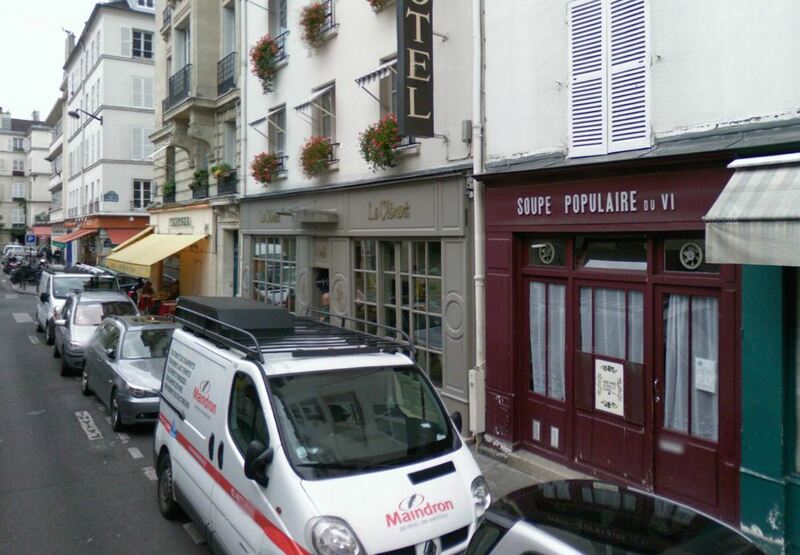 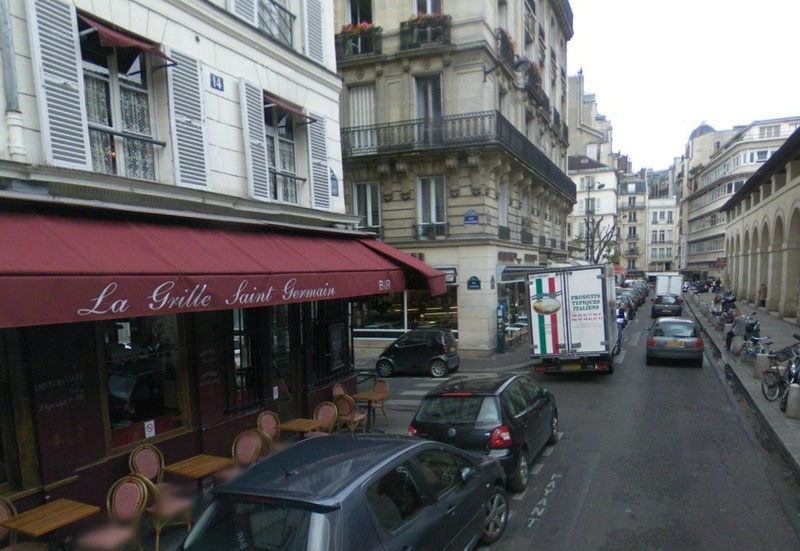 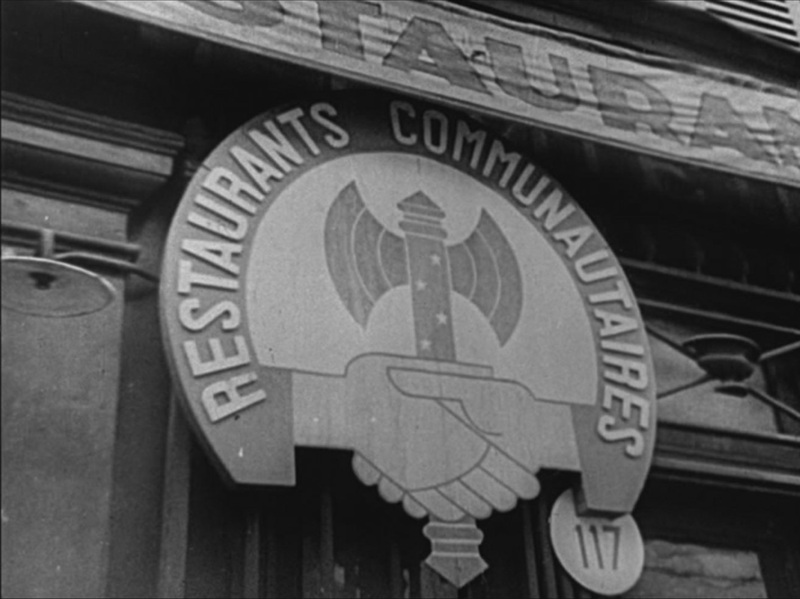 The restaurant is at 14 rue Mabillon, 6e, just by the Marché Saint Germain, which may be where the shopfront is. 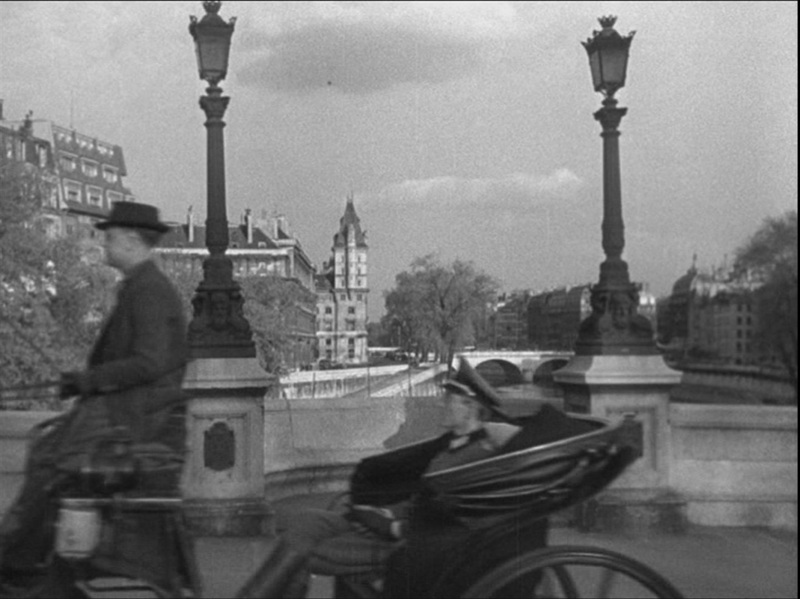 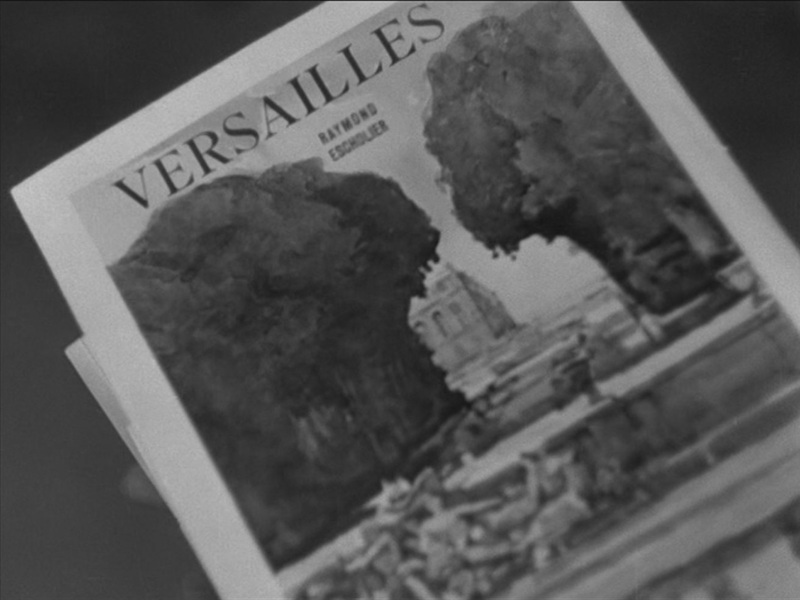 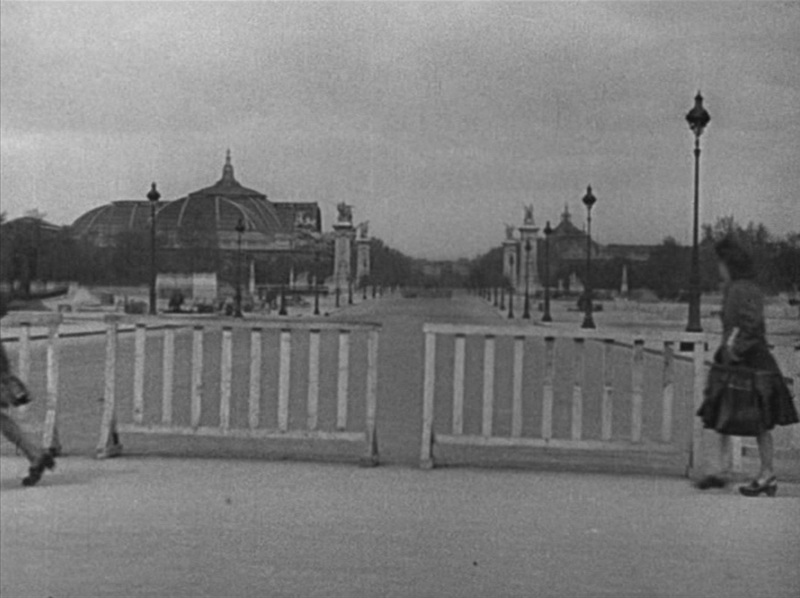 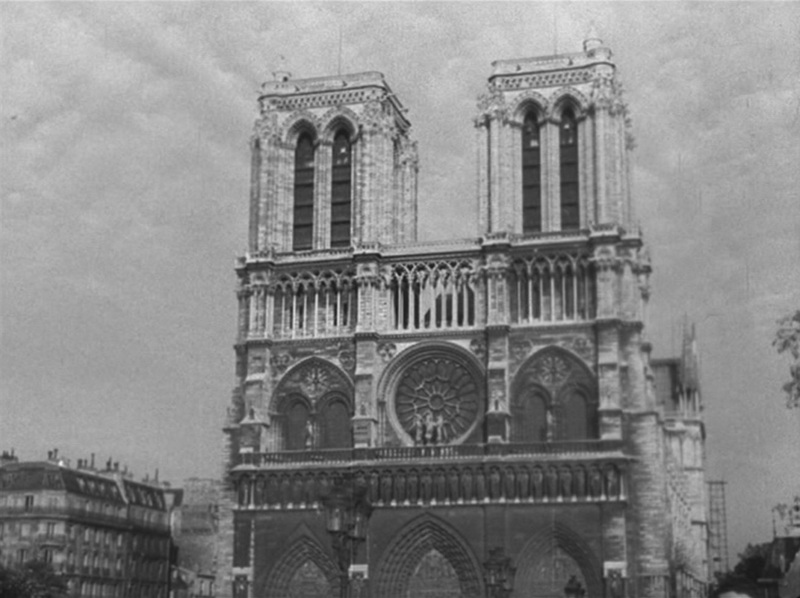 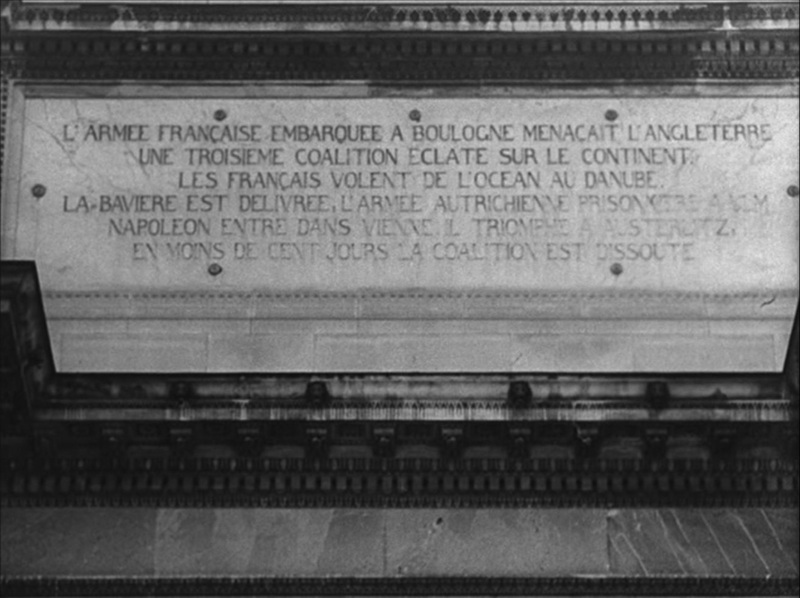 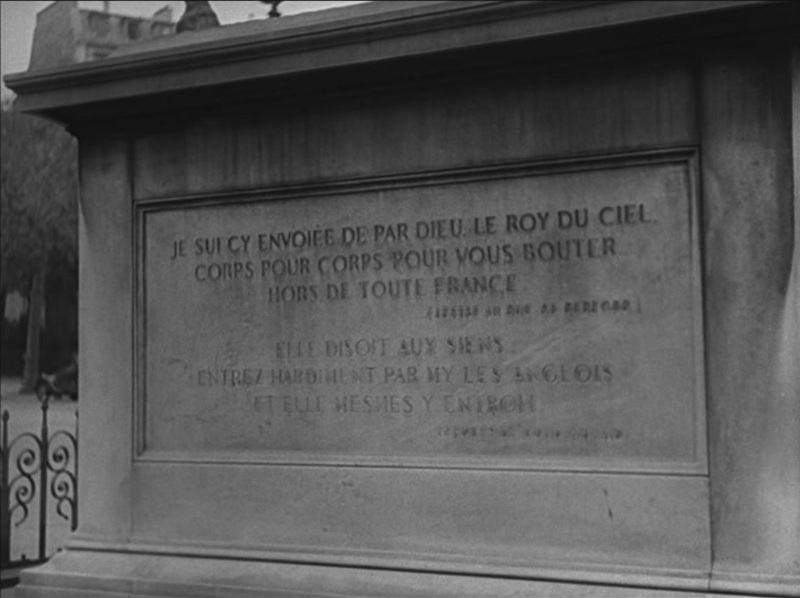 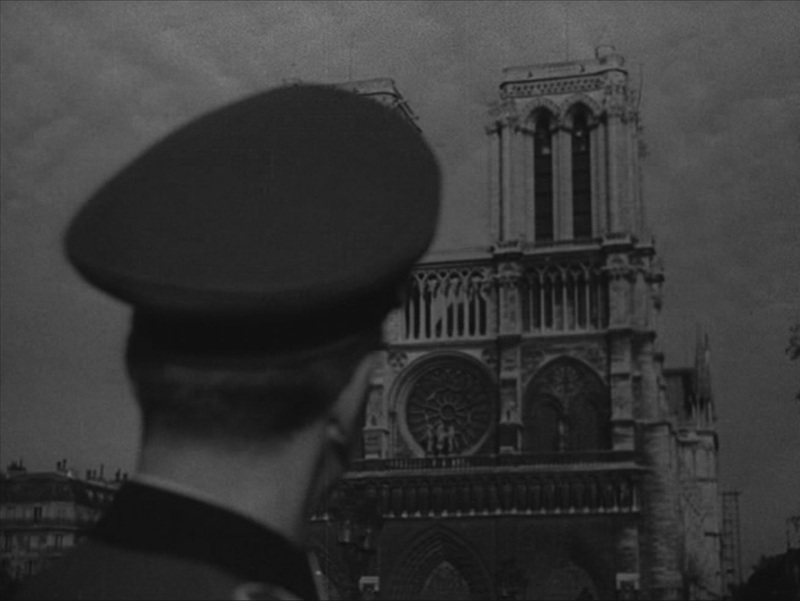 Other than the shots of Howard Vernon, this is I think the only instance where Melville constructs a view of occupied Paris, rather than using existing footage. 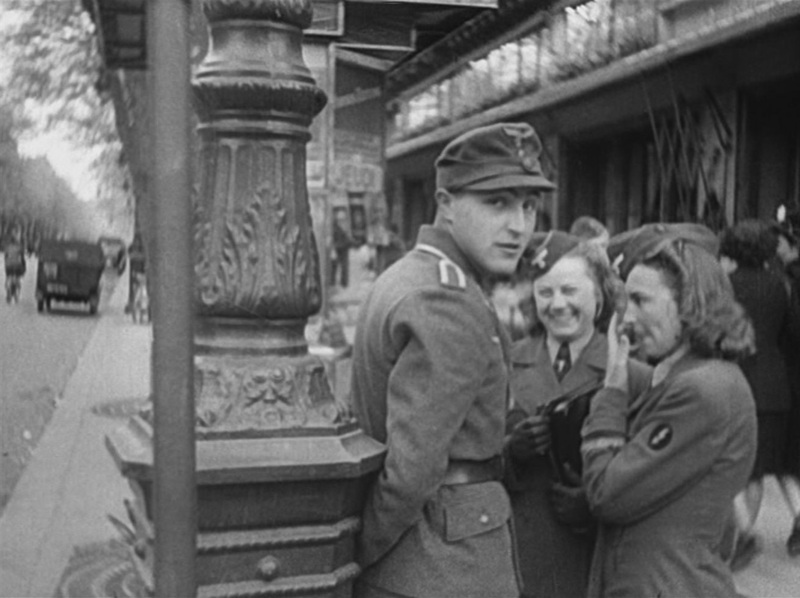 It brings an end to the tour, as von Ebrennac goes on to narrate how his illusions about the francophilia of his fellow Germans were dispelled. 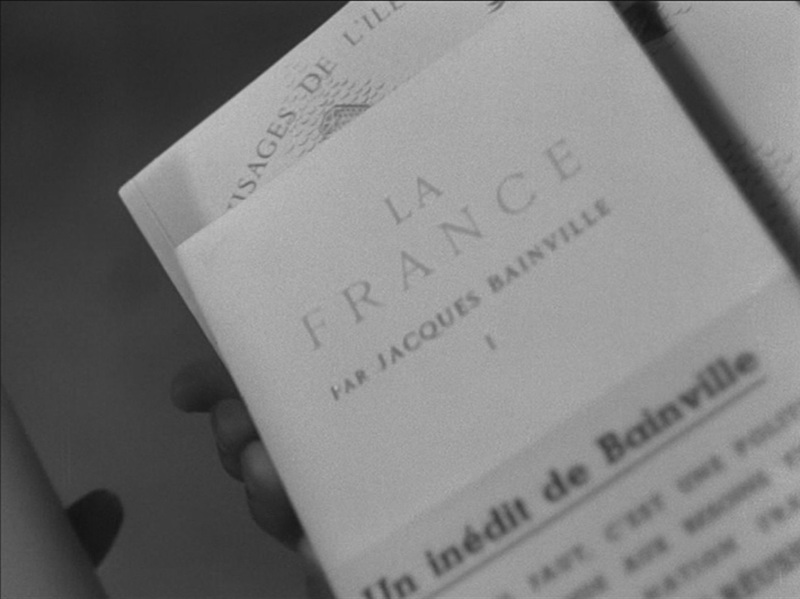 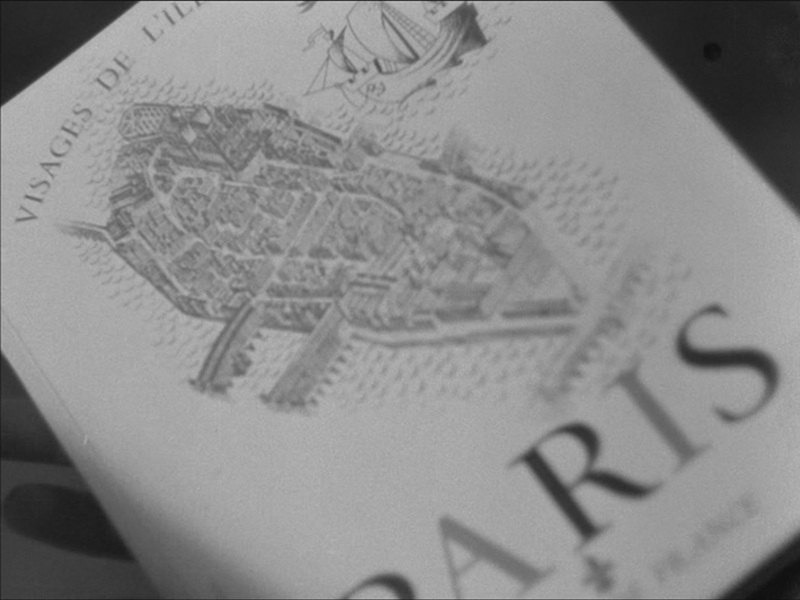 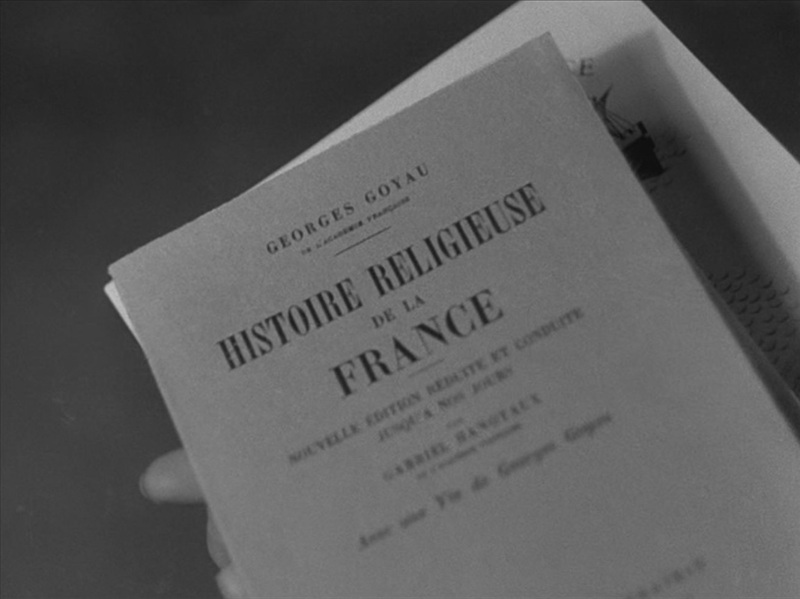 See here for the maps in Le Silence de la mer.